Will I Die if I Eat This? 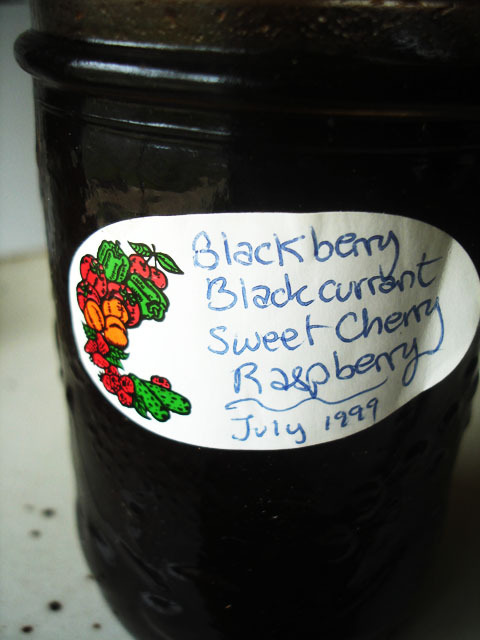 I found a bottle of berry preserves on the shelf of my cold room–dating from 1999! Probably the first batch I made here at Turtle Hill. 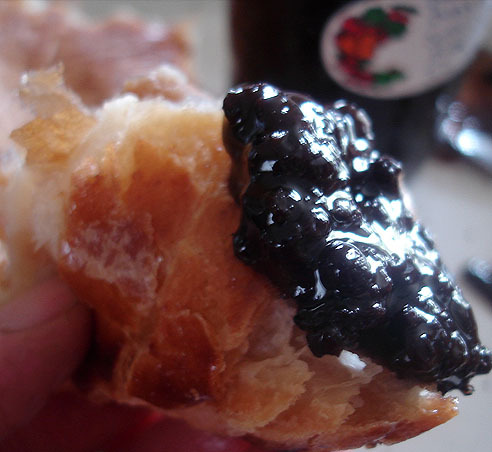 The seal was still well intact, and I had a french pastry crying out for something dark and intense, so I popped the lid. Looks good, smells good, tastes…great! I’ll let you know if it kills me!